I think that September is the month of false starts. July is just laid back, too hot to move much, so we lay around enjoying nothing. August is when I start to feel excited about the return of the schedule. Even though we homeschool year round, August is when I envision a giant reset button that I get to push. We start new curriculum. I check out 80 books to supplement the new curriculum. I sharpen pencils and fill out calendars and schedules and print off lots of things to help me in lots of ways. I make all kinds of appointments, too. Dentist, check up, allergist, ophthalmologist. All of it. I make appointments for all of it. In August I paint my toenails and vow to stop biting my fingernails so that I can paint them, too. I pledge that the boys will take baths every single night AND that they will use soap, and that they will wear clean clothes, and I mean it, little sirs! I make six months worth of clean eating meal plans and exercise plans and chore charts. There is also more printing to be done. I read blogs about how to do all of these things the right way, not the wrong way, and I am secure in my new and improved plan for life. August is like New Year's for me. Then September hits and there is an explosion of paper and pencils and the printer ink runs out and we all realize that July was much more fun with the laying around doing nothing. The huge stack of library books I was so excited about are forgotten and returned 7 days late and I owe $3,508 to the public library. It takes me 3 days to download the software for the new science program simply because I hate calling tech support because I am intimidated by tech support. I mean, the thing I call the 'wiggly thing' they call a 'cursor' and that is intimidating. Seriously. All of those appointments I scheduled with such verve begin and end with frayed nerves. None of the kids like check ups, it turns out. To top it off I apparently cannot stand to be in a 2x4 room with my children and a doctor. Who knew? I don't tell any of them about the doctor appointment until I have to, because all they want to know is: Will they have to pee in a cup? and Will there be shots? They do not believe me when I tell them I do not know because I am Mom and I am the knower of all things. I don't get their fear of peeing in a cup. I think it's because one time one of them (name being withheld to protect privacy), who has a bladder the size of their head and been hanging onto their urine since the night before the appointment, had a little accident. When it came time to actually fill the tiny cup with pee they went above and beyond. I think it was one of the appointments I forced asked my husband to help me out with because I have a vague memory of him kind of shouting, "No, stop, stop, it's going everywhere." Pants and socks were soaked, people in the hall got their shoes wet, and at least one hand had to be washed. Again, this was long ago, and they were very little and all the weirdness kind of blurs together. My gosh what was I thinking scheduling so many appointments between August and September? I had such high hopes, such plans, AND new pens for my new calendar. September is when I realize that I filled in the calendar with the wrong week. It's when I recognize that we haven't had one circle time for my kindergartner. It's when I grasp fully the fact that our socratic discussion revolves around farts. It's when I come into the full knowledge that printables can't save me. September is the month where reality meets my dream world and slaps it in the face. Right in the face. I think it was on our way to our fourth appointment, after all the kids had all their teeth dealt with at the dentist and two of the four kids had had their checkups, that I hit the wall. This was in between vet appointments for our new cat, mind you. I had the two boys with me, 11 and 5, and they were both kind of crying about having to go to the doctor and I just swerved into McDonald's and bought them Happy Meals (goodbye clean eating) and got myself a Coke. We still made it to the appointment on time,and there was no peeing in a cup and I survived the 2x4 room armed with peanuts I found at the bottom of my purse and a People magazine from 2010. Booya. We are 12 days into September, my toenails are still pink (but my fingernails are still nubby), we've only got four more appointments, and I am loaded with an arsenal of printables. The weather is cooling, the children have given in to the fact that I won't forget about math, and calling tech support was actually very simple and quite non-intimidating. Also, I've figured out how to pay off my library fine thanks to Craigslist and a few pieces of my parents furniture. Life is good. 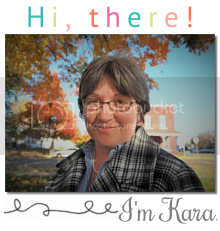 Oh Kara - you are a joy! Thanks, Mindy. :) You gotta laugh, right?